As one whose paternal ancestors migrated to the United States in the 18th century from Peebles, Scotland — a charming town 30 miles south of Edinburgh on the river Tweed – I should be gushing with ethnic pride after reading Arthur Herman’s “How the Scots Invented the Modern World: The True Story of How Western Europe’s Poorest Nation Created Our World and Everything in It.” Herman may fall short of meeting the heavy burden he sets for himself with his impossible but surely at least partially tongue-in-check title. Nonetheless, he makes a compelling case that Scottish contributions to the 18th century Enlightenment, to the 19th century industrial revolution, and to the United States throughout its history have long been undervalued. While he disclaims Scottish ancestry for himself, Herman tells his story of Scotland with an infectious exuberance which readers of all ethnic stripes should find endearing. You don’t have to be Scottish to enjoy this book. Herman divides his book into two parts, “Epiphany” and “Diaspora.” “Epiphany” concentrates on 18th century Scotland and particularly the emergence of new thinking throughout that century. This part is primarily an in-depth look at what Hermann considers to be a distinctive Scottish Enlightenment. In Herman’s estimation, 18th century Scotland became the birthplace of that most elusive concept, modernity. Meanwhile, and more concretely, 18th century Scottish thinkers sketched out a conceptual blueprint for the laissez faire capitalism that would transform the world in the following centuries. “Diaspora,” as the title suggests, focuses on emigration out of Scotland, especially to North America. But Hermann also addresses here Scotland’s pragmatic application of Enlightenment principles in science and technology in the 19th century, both in Scotland and beyond its borders. A short conclusion covers 20th century Scotland and the reasons for the emergence of a new form of Scottish nationalism, with what Herman considers alarming implications for 21st century Scotland. This review addresses “Epiphany,” with “Diaspora” and Herman’s conclusion to follow. “Epiphany” starts with an account of the hapless Thomas Aikenhead, a 19 year old theology student from Edinburgh who in 1696 was tried in Britain’s last blasphemy prosecution, having been accused of ridiculing the Christian faith. After a trial which attracted the attention of the renowned political philosopher John Locke, Aikenhead was sentenced to death and, in January 1697, executed. 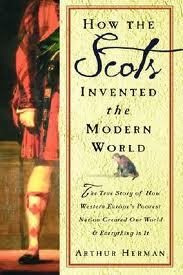 Scotland was then a nation of an “unforgiving and sometime cruel Calvinist religious faith” (p.9). But Aikenhead’s execution marked the “last hurrah of Scotland’s Calvinist ayatollahs” (p.10). As the 18th century dawned, Scotland prepared to cast off the rigid Calvinist Presbyterianism that had dominated Scotland throughout the 17th century. Before the new century was over, Scotland would “generate the basic institutions, ideas, attitudes, and habits of mind that characterize the modern age. Scotland and the Scots would go on to blaze a trail across the global landscape in both a literal and a figurative sense, and open a new era in human history” (p.11). In 1707, the Scottish and English Parliaments united to form a new entity, known as Great Britain, governed by a single monarch and a single British Parliament. The Act of Union, although yoking Scotland to England, proved to be a “powerful engine for change, which expanded men’s opportunities at the same time as it protected what they held dear: life, liberty and property” (p.59). The Act of Union unleashed an economic boom which, in a single generation, would “transform Scotland from a Third World country into a modern society, and open up a cultural and social revolution. Far from finding themselves slaves to the English, as opponents had prophesied, Scots experienced an unprecedented freedom and mobility” (p.54). Because the English Parliament largely ignored its northern realm, Scotland ended up with the best of both worlds: “peace and order from a strong administrative state, but freedom to develop and innovate without undue interference from those who controlled it” (p.59). 18th century Scotland attained the highest level of literacy in Europe, with Scottish intellectuals writing “not just for other intellectuals but for a genuine reading public” (p.23). Despite Scotland’s relative poverty and small population, Scottish culture had a “built-in bias toward reading, learning and education in general. In no other European country did education count for such much, or enjoy so broad a base” (p.25). Further, Scots led both their English and continental counterparts in developing new ways of thinking about the world and man’s place in it, Herman contends. Although less glamorous than the Enlightenment in France, the new wave of thinking that swept Scotland in the 18th century was in Herman’s view “in many ways more robust and original. . .[and] at least as influential” (p.63). In arguing that there was a distinctly Scottish Enlightenment, Herman rejects the approach of Gertrude Himmelfarb, discussed here in January, who folded the Scottish Enlightenment into that of England. But Hermann sees in the Scottish Enlightenment the same accommodation between reason and religion which Himmelfarb highlighted as key to the endurance of Enlightenment values in Great Britain and the United States. Unlike their French counterparts, the “great minds of the Scottish Enlightenment never saw Christianity as the mortal enemy” (p.81-82). Rather, the Scottish Enlightenment was supported by “erudite and believing clergymen” who “resolutely believed that a free and open sophisticated culture was compatible with, even predicated on, a solid moral and religious foundation” (p.193). But Scotland’s unique contribution to the new thinking of the 18th century was the priority it accorded to commercial interaction and free trade, the underpinnings of modern capitalism. “Scottish merchants and capitalists, like their American counterparts, recognized the advantages of a laissez-faire private sector far earlier than did the English or other Europeans” (p.59). Philosopher David Hume (1711-1776) and economist Adam Smith (1723-1790) are the best-known figures of the Scottish Enlightenment. 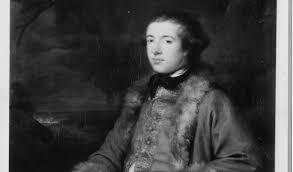 But Hermann starts his discussion with an analysis of two lesser-known thinkers from the generation before Hume and Smith, Francis Hutcheson (1694-1746) and Henry Home (1696-1782), who became Lord Kames. Each had a strong influence on Hume and Smith. Together, Hutcheson and Kames “revolutionized the Scottish intellect, and created a new understanding of human nature and society that has lasted down to today” (p.62). Europe’s first liberal in the classic sense: a believer in maximizing personal liberty in the social, economic, and intellectual spheres, as well as the political. But the ultimate goal of this liberty was . 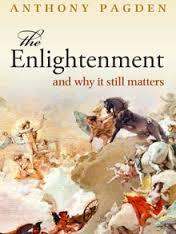 . . happiness – which Hutcheson always defined as resulting from helping others to be happy (p.83). Lord Kames was an eminent Scottish lawyer with an omnivorous intellectual appetite, combining his interest in the law with an affinity for philosophy, history, geography, and foreign travel. His “tireless energy” reflected a “key characteristic of the Scottish enlightenment mind, its passion for organizing and systematizing knowledge” (p.91). Kames viewed law not as a listless chain of precedents, but a “flexible instrument, a means for attaining order and justice . . . [which] must change as society changes, and human beings with it” (p.91). Men institute law above all to protect property. 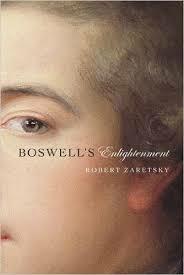 A sense of property “marked the starting line for all social arrangements” (p.95). Our desire to protect our property “forces us to take the plunge, to enter into [a] network of rights, duties, and obligations with other people, because without it we will never feel secure about our property” (p.96). Kames’ disciple Hume was “modernity’s first great philosopher” (p.199) who, according to Herman, “swept away all that was pretentious and sanctimonious from the Scottish intellectual scene” (p.204). Hume taught that in order to survive, society must devise strategies to channel men’s passions in constructive directions. Hume thus gave particular emphasis to the notion of self-interest. The “overriding guiding force in all our actions is . . . the most basic human passion of all, the desire for self-gratification. It is the one thing human beings have in common. It is also the necessary starting point of any system of morality, and of any system of government” (p.200). “In all government,” Hume wrote, “there is perpetual intestine struggle, open or secret, between Authority and Liberty, and neither of them can ever absolutely prevail in a contest” (p.203, emphasis in original). Hume was therefore clear that liberty needed a counterbalancing principle as a check on unbridled passion. Hume saw government as the force that could redirect potentially destructive passions, punish transgressors and “preserve the conditions under which liberty can be enjoyed” (p.203). Central to society’s long-term advancement was the role of commerce, to Hume the “great engine of change” (p.203). Although generally thought of as an economist and the founder of modern political economy, Smith considered himself “primarily as a moral philosopher” (p.197). Herman describes Smith’s Wealth of Nations as the “Summa of the Scottish Enlightenment, a summation of its exploration of the nature of human progress – and its salute to the triumph of the modern” (p.211). Its hypothesis was that “commerce and manufactures gradually introduced order and good government, and with them, the liberty and security of individuals” (p.211). Wealth of Nations thus captured the essence of the Scottish Enlightenment and the spirit that infused laissez faire capitalism. Capitalism for Smith brought “an intellectual as well as an economic change. It alters the way we think about ourselves and about others; we become buyers and sellers, customers and suppliers, who strive to improve the quality and quantity of our output, in order to gratify our needs” (p.212). Under Smith’s notion of capitalism, the “pursuit of our own self-interest actually causes us to reach out to others” (p.214). Further, the interdependence of the market begets independence of the mind, “meaning the freedom to see one’s own self-interest and the opportunity to pursue it” (p.215). Smith clearly foresaw that the division of labor which capitalism engenders can lead to focusing more and more on less and less, contracting the mind and rendering it “incapable of elevation” (p.220). Well before the outbreak of the Industrial Revolution in the early 19th century, Smith anticipated the “mental mutilation” that accompanies mass production, thereby grasping the problem of alienation that would be at the heart of Karl Marx’s theories. Although Smith defined the benefits of capitalism for a modern society, he also “opened up a whole new territory for discussion and debate, the cultural costs of capitalism” (p.220). “Epiphany” ably captures how, in unusually literate 18th century Scotland, Scottish thinkers forged a new vision of man and his role in society, emphasizing individual autonomy and pursuit of self-interest, but exercised within a framework of state-created rules and community mores. Readers whose enthusiasm for political theory may be less than mine will be pleasantly surprised by the liveliness of “Epiphany,” as Herman delivers his analysis of the evolution of new thinking in Scotland with ardor and wit. In “Diaspora,” which will reviewed here next month, Herman shows how the fundamental principles of the Scottish Enlightenment were applied, both in 19th century Scotland and beyond.